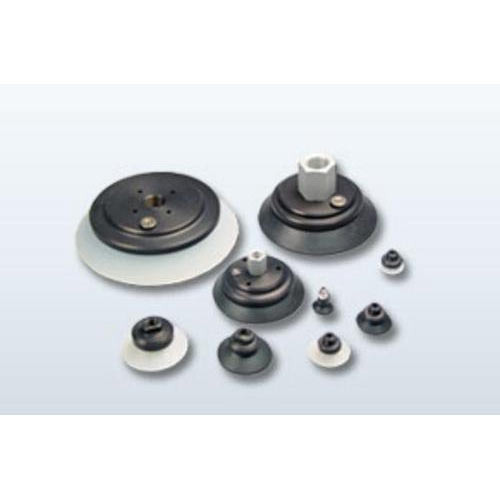 We are an eminent manufacturer, supplier and trader of a vast range of Vacuum Suction Cups. These cups are manufactured keeping in mind the variegated requirements of our esteemed customers. In addition to this, we offer these cups in a spectrum of sizes and dimensions at reasonable rates. Profile suction cups, Long I: These suction cups are typically applied at rough surfaces characteristic for concrete slabs or stones. Came into existence in the year 1995, we, X- Team Equipments PVT. LTD. are widely known for manufacturing and supplying a broad range of supreme quality Vacuum Lifter and Beam. The product range provided by us is inclusive of Needle Valve, SS Flanges and Fittings, Ball Valve and Pneumatic Button Valve. Offered range of products are made from finest grade metal and manufactured in compliance with the industry defined norms and standards. These products are highly demanded among the clients for their optimum quality and longer service life. Moreover, to cater our client’s requirement in a best possible manner, we are offering all these products in a variety of specifications. We have been able to gain the faith and confidence of our valuable customers by paying special attention to ethical business values, following customer focused approach and implementing total transparency in all the client dealings. Owing to our broad distribution network, we assure prompt and safe delivery of the offered range at the customers’ place. To manufacture the offered range as per the set industry norms, we are backed by a well-designed and fully modern infrastructure unit. With the help of our well-equipped production facility, we are capable to cater the bulk order requirement within the committed frame of time.